You've come to the right place if you are looking for low rates on boom lift rentals in Jersey City, New Jersey. Whether you are looking to rent an articulating boom lift in Jersey City for just a few days, or you need to get a quote for a long-term Jersey City boom lift rental, XRefer's got you covered. By using XRefer to rent a boom lift in Jersey City, you will have the advantage of the most extensive selection of machines to choose from, as well as the lowest rates around. 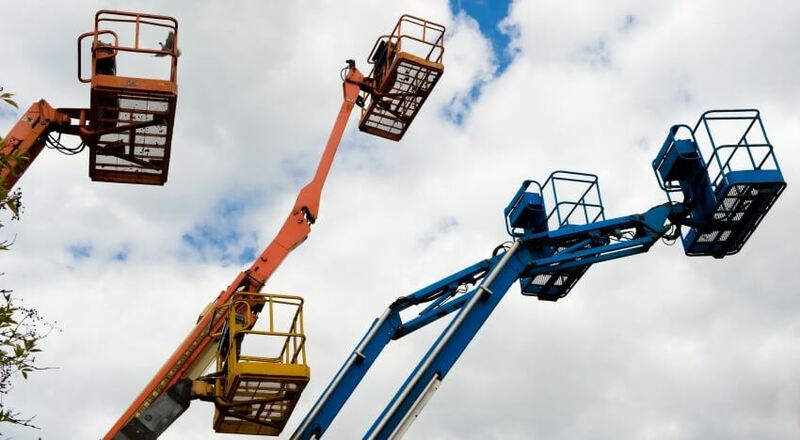 We partner with local Jersey City boom lift rental companies that are known for their excellent customer satisfaction ratings and their dedication to low prices. XRefer has done the research on local Jersey City boom lift dealers so that our customers don't have to, they just reap the benefits of lower prices and quick boom lift rentals in Jersey City, New Jersey. How much does it cost to rent a boom lift in Jersey City? Jersey City boom lift rentals can be as low as $80 per day for a smaller 16 ft machine, while larger 120 ft boom lift rentals in Jersey City can cost upwards of $600 per day. Pricing is primarily influenced by lift height as well as availability. Choosing the right size lift for your needs is essential to ensuring that you get a good rate. Do I need certification or training to operate a boom lift in Jersey City? You can choose from 16-120 ft boom lift rentals throughout the Jersey City area. Are you ready to see how much you can save on a boom lift rental in Jersey City, New Jersey? Request pricing via the quick quote compare tool or by giving one of our partners serving Jersey City a call right now. You won't find better rates anywhere else! There's a high demand for Jersey City boom lift rental. Call or request a quote right now! Serving: Bergen-Lafayette, Hackensack Riverfront, Journal Square, The Waterfront, West Side and throughout Jersey City. Serving: Journal Square, Lincoln Park, McGinley Square, West Side and throughout Jersey City. Serving: Greenville, Hackensack Riverfront, Journal Square, Lincoln Park, McGinley Square, The Waterfront and throughout Jersey City. Serving: Bergen-Lafayette, Journal Square, McGinley Square, The Heights, West Side and throughout Jersey City. Serving: Bergen-Lafayette, Downtown, Liberty Park, Lincoln Park, The Heights, The Waterfront and throughout Jersey City. Serving: Bergen-Lafayette, Downtown, Journal Square, Liberty Park, Lincoln Park, McGinley Square and throughout Jersey City. Serving: Bergen-Lafayette, Greenville, Journal Square, Liberty Park, The Waterfront, West Side and throughout Jersey City. Serving: Downtown, Greenville, Journal Square, Liberty Park, The Waterfront and throughout Jersey City. Serving: Bergen-Lafayette, Greenville, Liberty Park, McGinley Square, The Waterfront and throughout Jersey City. Serving: Downtown, Hackensack Riverfront, Journal Square, Liberty Park, Lincoln Park, The Heights and throughout Jersey City.